The Peverell Press, a two-hundred-year-old publishing firm housed in a dramatic mock-Venetian palace on the Thames, is certainly ripe for change. But the proposals of its ruthlessly ambitious new managing director, Gerard Etienne, have made him dangerous enemies - a discarded mistress, a neglected and humiliated author, and rebellious colleagues and staff. When Gerard's body is discovered bizarrely desecrated, there is no shortage of suspects and Adam Dalgliesh and his team are confronted with a puzzle of extraordinary complexity and a murderer who is prepared to strike again. P.D. James, the bestselling author of Death Comes to Pemberley, Children of Men and Death in Holy Orders, once again explores the mysterious, strong and intense emotions responsible for the unique crime of murder, with authority and sensitivity. Original Sin is set in the literary world of London and possesses all of the qualities which distinguish P.D. James as a novelist. P.D. 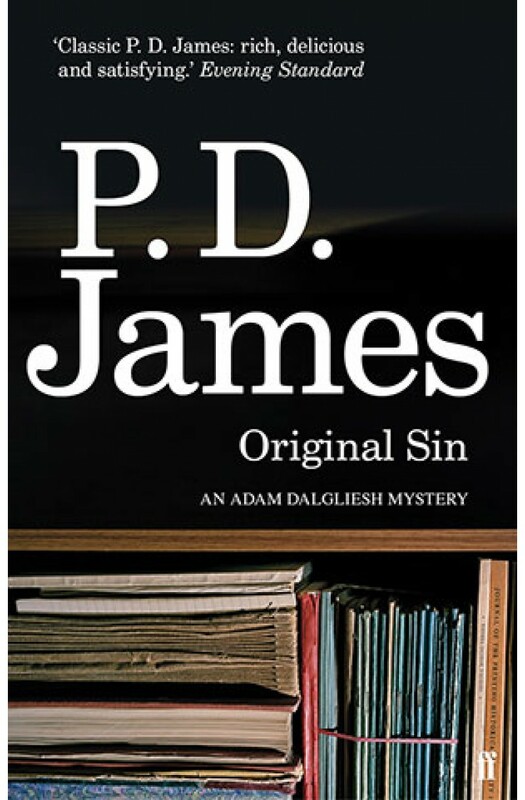 James has been influential as a crime writer for many years and her writing is often compared to the work of authors such as Val Mcdermid, Ian Rankin and Peter Robinson. "An elegantly written, splendidly atmospheric and immensely satisfying mystery." (Sunday Telegraph).